Includes 6 O+ Skinnis (formerly the O+Stick) in Pink Grapefruit. 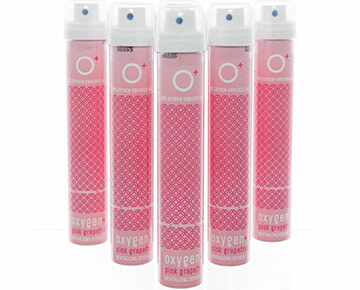 Each canister contains over 50 breaths of 95% enriched oxygen. Standing tall and trim at just over 8”, you can cleverly slip it into your ski jacket or back pack. A 6-pack weighs ~ 0.7 lbs. The flavors in O+ products are food- and beverage-grade flavors approved for use by the FDA and the Food Extract Manufacturing Association.